Today’s post is a rather short rant, but one I felt compelled to put forth. I just finished reading an article where the author (a self professed innovation guru) recommended strategy be aligned with capability, and that to allow ambition to exceed capability is a nothing short of a recipe for disaster. If this sounds like rational thinking to you, I’d encourage you to read the text that follows for a bit of a different perspective. Let me get right to it – if you want to fail as a leader then please follow the flawed advice given by the wizard of innovation mentioned in the opening paragraph. But if you want to rise above the crowd and become a truly innovative leader, I’d ask you to regard said advice for what it is – more of the same. It’s just another well-intentioned sound bite that will destroy your company and your career if you choose to follow it. 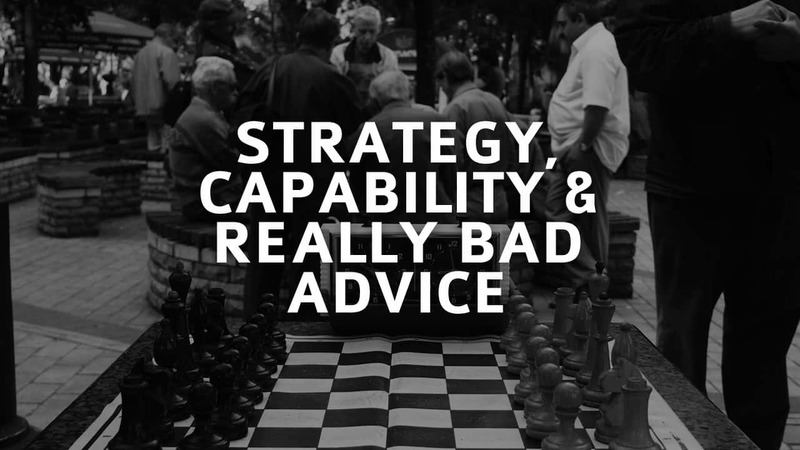 Strategy should never be dumbed down to match capability. In fact, quite the opposite – capability should always be in the process of being upgraded to keep pace with strategy. If a leader dilutes the strategy because of a lack of capability, they have already failed – the game is over before it starts. The best leaders set their strategy and then work tirelessly to develop or acquire the needed capabilities. It is simply impossible to cede opportunity to others, settle for mediocrity, and hope to somehow remain a competitive enterprise. Here’s the thing – leaders who complain about a lack of resources, are simply communicating they are not very resourceful. Great leaders find a way to develop and/or acquire the best capability in order to create a certainty of execution around a winning strategy. If you want to fail as a leader, hire B and C talent and ask them to win with an inferior strategy. Thinking in a limited manner will only accomplish one thing – it will limit your future. Sadly, history is littered with leaders who place self-imposed limits on themselves, their organizations, and their workforce under the guise of rational thinking. These are the brands that fall into rapid decline as they fail to innovate and change. Leaders whose aspirations don’t constantly exceed their capability have no vision – they are irrelevant on the way to obsolete and probably don’t even know it. Real leaders know there is always more to be accomplished. 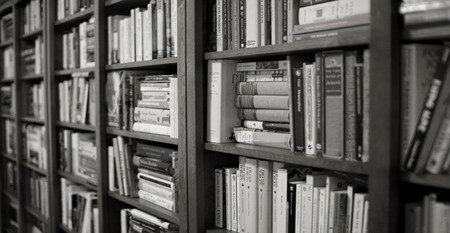 They understand good must become better, and that better must be in constant pursuit of best. They also understand that best is only captured in the moment, and they must revert back to bettering their best in order to remain competitive. They understand business is not static, and they view things on a continuum. Great leaders aggressively pursue better. Leadership is not for the faint of heart, and leaders not willing to innovate and adapt should not be leading anything. Great leaders beat their competition to the future, while failed leaders passively, ignorantly, or arrogantly surrender the future to their competition. The moment you become satisfied with your capability is precisely the moment in time when you are in greatest danger as a leader. Whatever your capability is, it’s not good enough. Thoughts? capability should always be in the process of being upgraded to keep pace with strategy” that is the heart of your premise. Very powerful statement. Thank you. I’m glad it resonated with you. Thanks for stopping by. Utterly valid point. Examples even exist in abundance at nation-state level, whereby standards and goals are adjusted to accommodate (usually downward-spiraling) competencies and capabilities, affecting effort first at school level and then later at tertiary institutions. In most cases, political expediency leads to condoning of the state of affairs, reinforcing the problem and leading to exactly the type of phenomenon you describe (at national level however). By the time this filters through to the workforce in the form of poorly-trained resources, there is often little to be done other than concede competitive advantage to more forward-thinking nations. Hi Mike, Your comments appear to be correct intuitively and rationally! I did not read the article of the “innovation guru”, but would have been interested to know how one can measure and compare ambition and capability – I am not sure what are the relevant metrics of either; but doubt that they are the same nor comparable. So fortunately anyone who tried to take that advice would not be able to in practice. Thanks Simon. I omitted the name of the author as a professional courtesy, and I probably wouldn’t have authored this post, but this wasn’t the first time I’d heard this type of comment. I do not know what it is with your posts. I ‘feel’ your posts and you have a believer in me who thinks you are one of the few who get it (or I just like the way you write :D). I actually don’t quite get it (yet) 🙂 I am still learning (to be a leader of my life). I can learn from you! Thank you for that. Thanks for the kind words. We’re all still learning (or at least should be). The minute we stop learning/unlearning we must stop calling ourselves leaders as we are no longer worthy of the title, much less the responsibility.